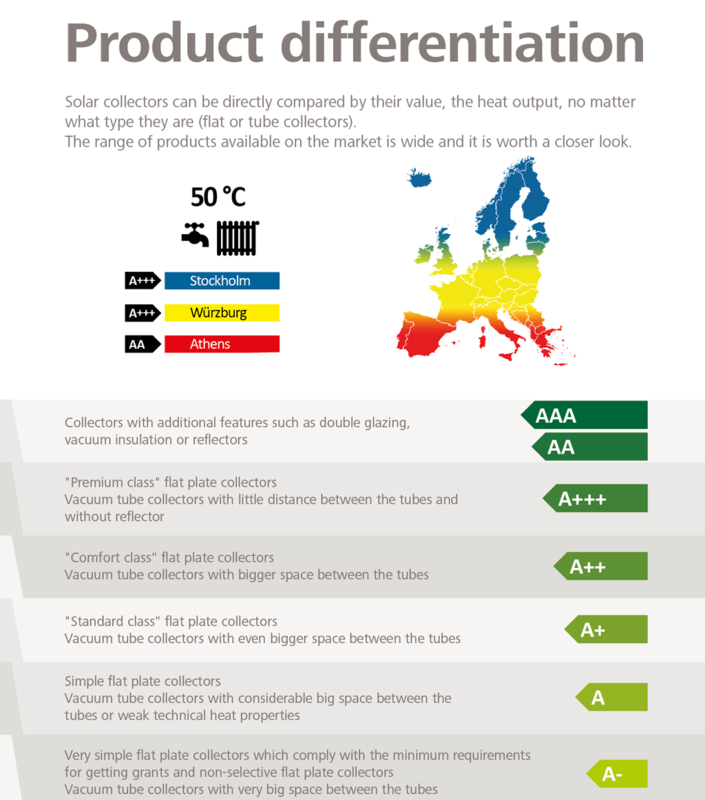 New collector label creates transparency in the heating market. The Sun delivers more energy to Earth in an hour than we use in a year. What does the label tell me? 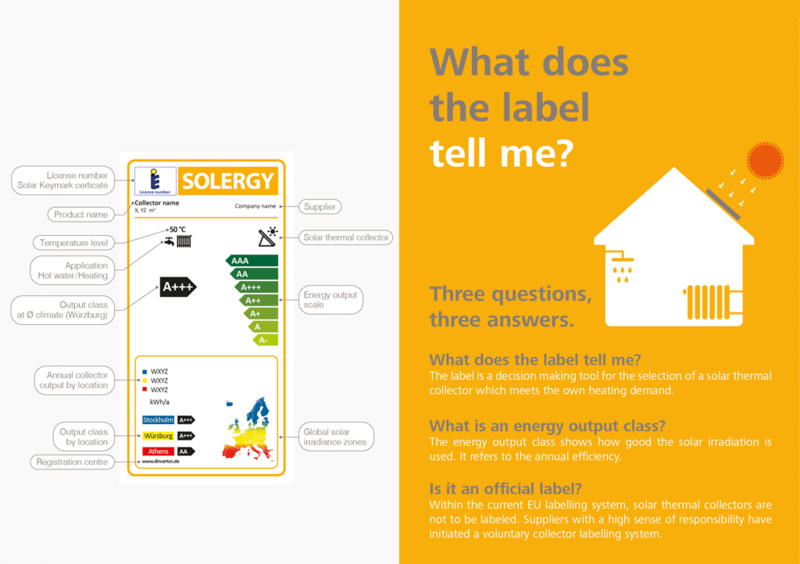 The first relevant information that the SOLERGY label provides is the temperature level and the corresponding application that the collector is most suitable for. 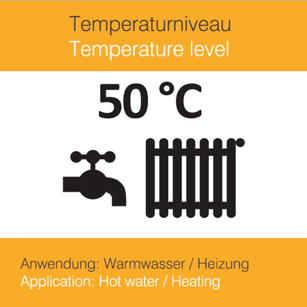 A temperature level of 50 °C is necessary for domestic hot water and space heating, while a temperature level of 75 °C is needed for industrial applications or district heating. 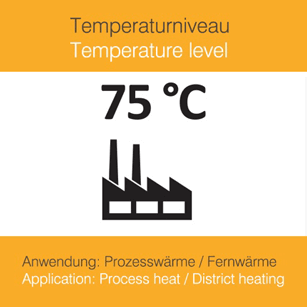 Manufacturers can choose between a label that depicts the application for 50°C and a combined label which shows that the collector can also be used in applications where need higher temperatures are required. The energy efficiency label of the European Union is well known among consumers. Washing machines, lamps, televisions and other home appliances have such a label. 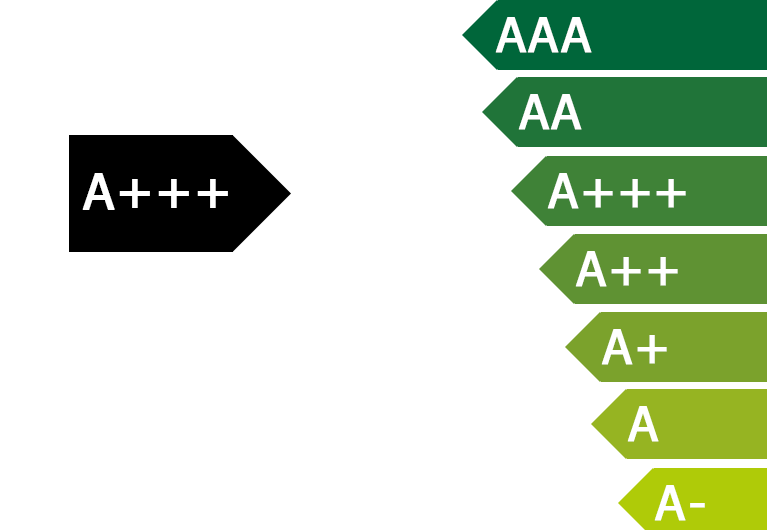 From red to green, from G to A+++: the colour scale and the energy efficiency classification provide information about their energy consumption. Since September 2015, conventional heat generators such as gas boilers, heat pumps, heaters with cogeneration, water heaters and storage tanks should also be labelled. 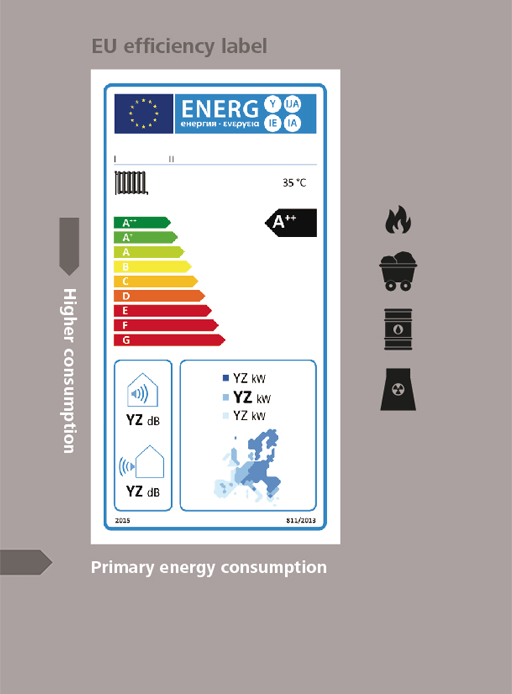 The EU efficiency label should help consumers to make an informed decision when choosing a heating system. The less primary energy the heating system uses, the more efficient it is. Solar thermal collectors generate heat with almost no use of fossil energy. Therefore, they are not part of the EU product labelling scheme. 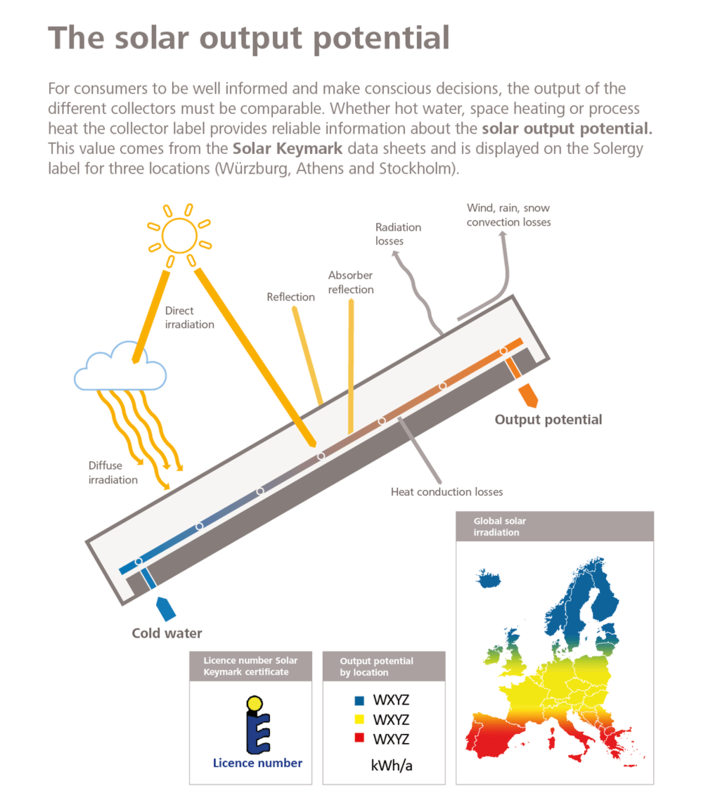 Well-known manufacturers of solar thermal collectors have joined forces and voluntary introduced a collector label which shows how much heat they can generate. Their goal: to help consumers choosing the product which best enables them to enjoy a sustainable and cost-effective heat supply. The EU label refers to the consumption of primary (fossil) energy, while the SOLERGY label refers to the heat supply from a renewable energy source. It shows how much heat a solar thermal collector can generate. 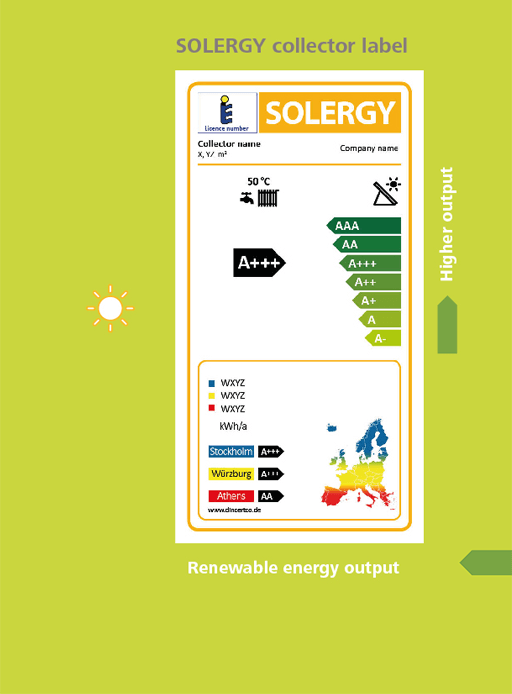 The SOLERGY label has a green A-scale which stands for renewable energy. It goes from A- through A+++, till AAA, the highest class. One more difference is the direction of the arrows. In the SOLERGY label they go from the right to the left, which means that solar thermal collectors use almost no fossil fuels, but supply sustainable, economical, and CO2-free heat. The fact that the SOLERGY label is about how much (renewable) energy is generated and not how much (fossil) energy is consumed, is depicted by the length of the arrows. The longer the arrow, the more CO2-free heat is generated. Collectors of the "comfort class"
“Comfort class” solar collectors fall into the SOLERGY class A++, which corresponds to that of conventional heat generators, such as gas condensing boilers. Currently, “premium” solar collectors fall into the SOLERGY class A+++. Even the most efficient conventional heat generators, such as heat pumps or gas condensing boilers, do not commonly reach the peak values corresponding to this class. The SOLERGY label looks familiar but is quite different. Solar collectors can be compared by the heat that they can generate, the potential solar output. 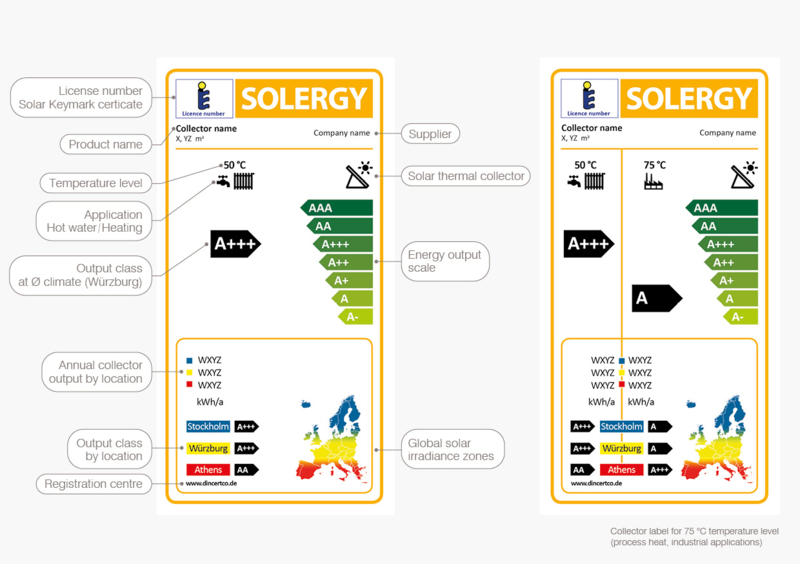 In the SOLERGY label, this potential is divided into seven classes. These output classification shows how well the irradiated solar energy is used for heat generation. It is based on the annual efficiency of the collector. 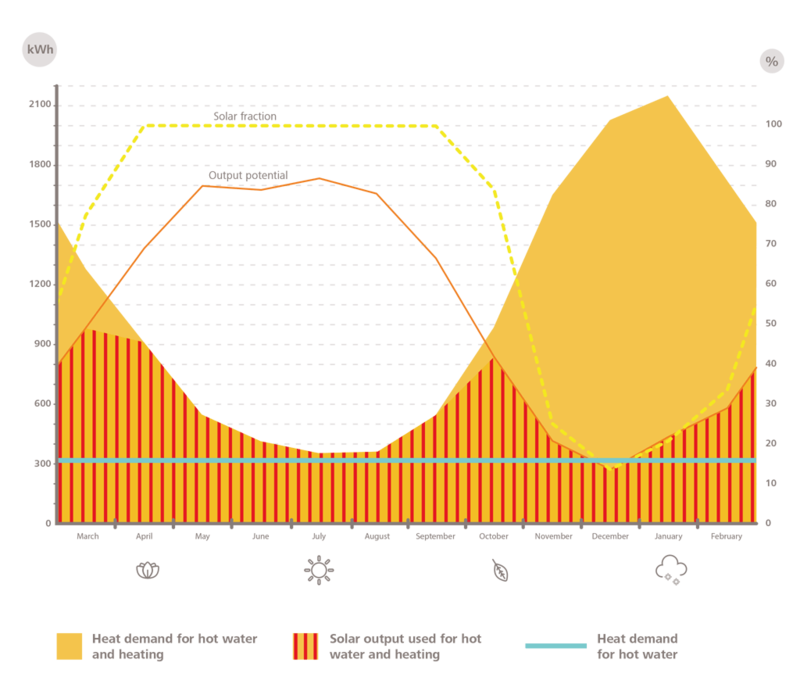 The higher (and greener) the class, the greater the renewable energy output (solar heat). Why green? Solar collectors are sustainable energy suppliers and not fossil energy consumers. They generate almost no CO2 emissions – and this is worth a „green“. Most of the energy for heat is consumed during the winter. Nevertheless, this doesn’t mean that you don’t need energy for space heating and hot water for the rest of the year. Anyone who wants to buy a solar thermal collector should therefore make sure that it also supplies a high heat output even in seasons with little solar radiation – in the transitional periods and during the winter. 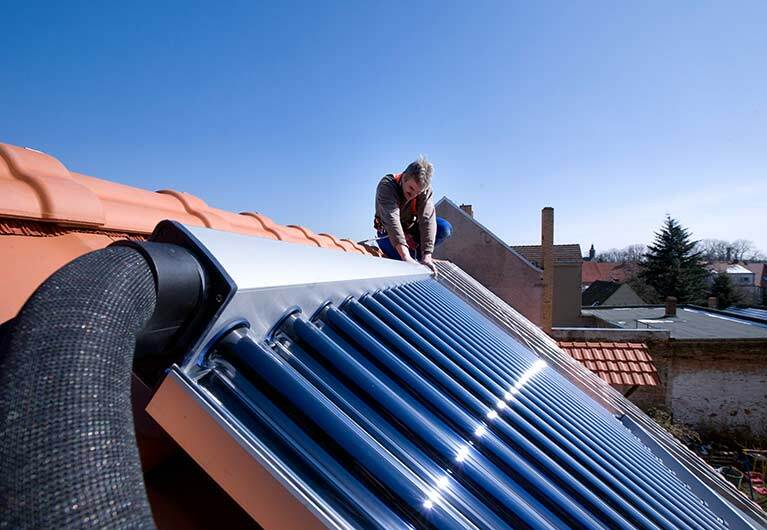 A solar collector is the heart of a solar thermal system; it is like the engine of a car. However, even the best collector can achieve an optimum performance only if all other components of the heating system are of the same technological quality and match to one another. Too small, too large or outdated storage, as well as poorly insulated pipes, have a negative impact on the solar output. Who determines the solar output potential? 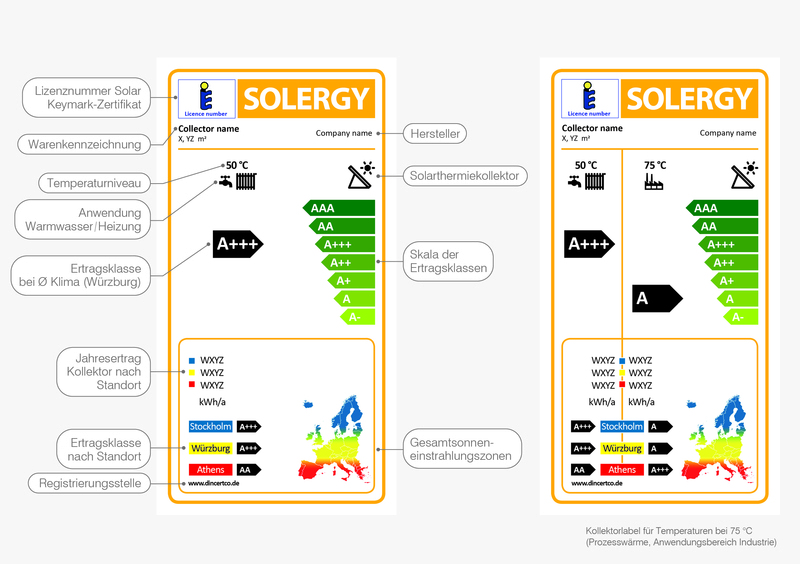 The results of the Solar KEYMARK data are the basis for the energy output classes shown on the SOLERGY label. 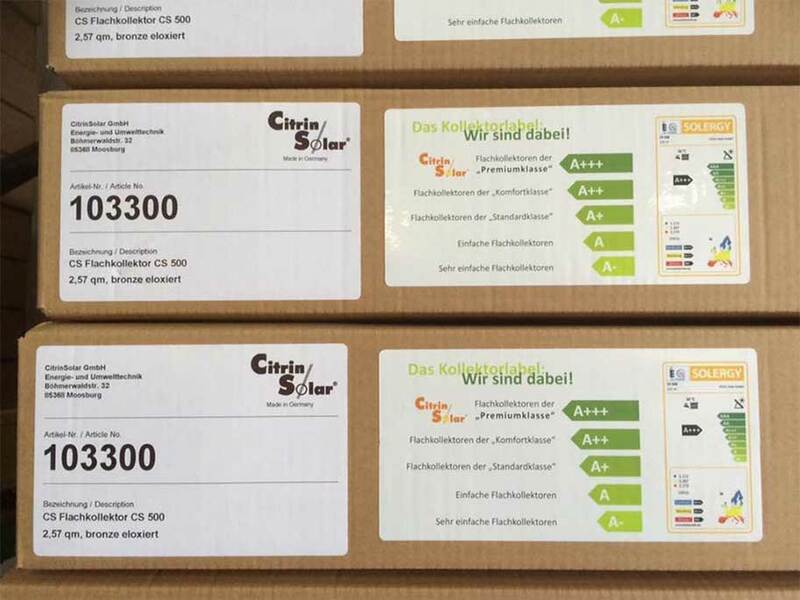 The Solar KEYMARK certificate is issued by an official body, for example by DIN CERTCO. 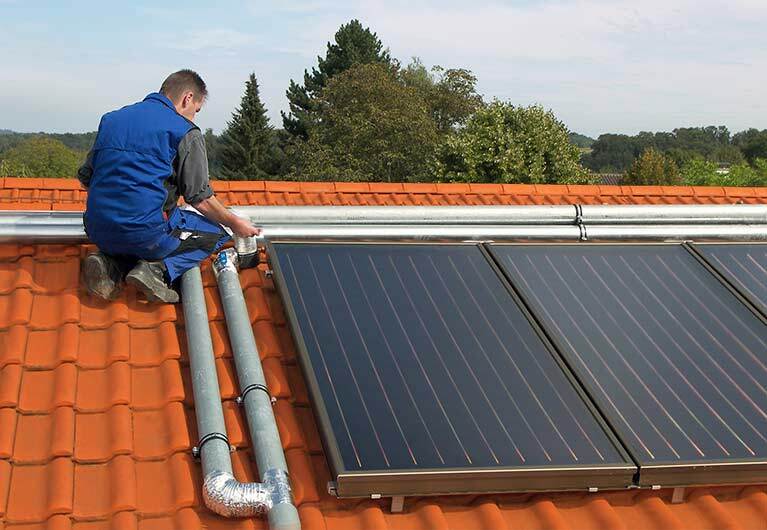 It is a recognised certification standard for solar thermal products throughout Europe. The data sheets show exactly how many kilowatt hours a collector module can produce at different locations in Europe per year. 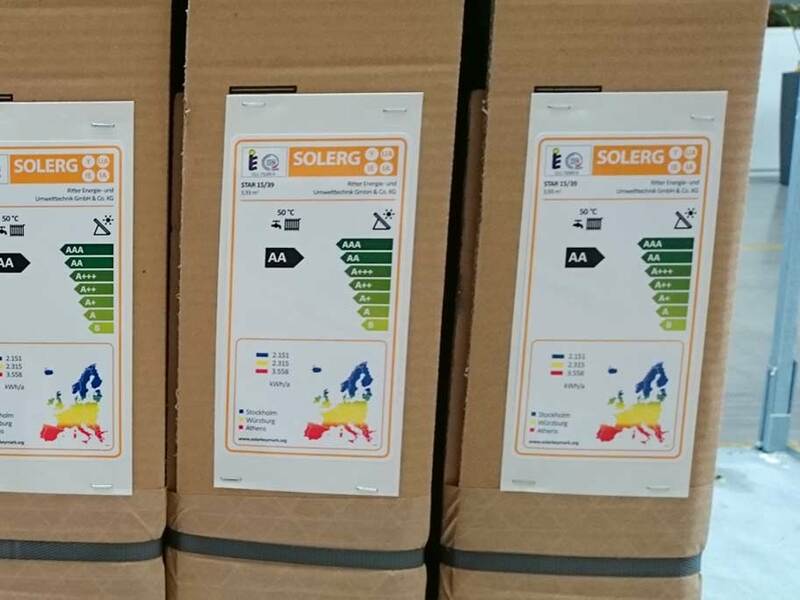 This value is shown on the SOLERGY label for three locations (Würzburg, Athens and Stockholm). By the way: potential does not mean actual output. The solar output potential merely provides information on how much heat output can be achieved. If the heat is not used, for example because the storage is full, the potential maximum output can no longer be achieved.